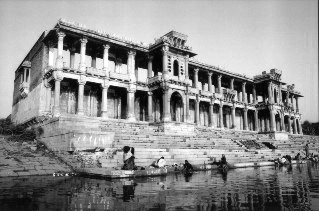 The place where the idea of Ahmedabad was born – the Sarkhej Roza It has won its place among one of the most beautiful heritage sites of the city. It’s located about 8 kms. from the city, & comprises one of the most elegant architectural complexes of Ahmedabad. Grouped around a great stepped tank is the tomb to the saint, Ahmed Khattu Ganj Baksh (1445), the mosque, the tombs of Mehmud Shah Begada and his queen, and the palace and pavilions. 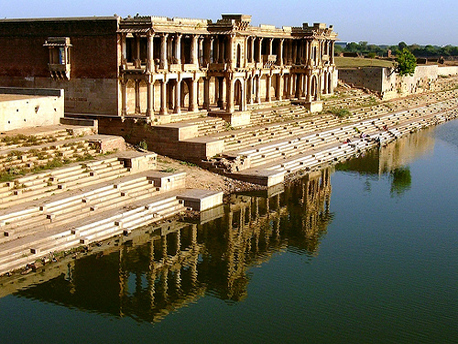 It is a cluster of monuments that date back to the times of Mughal rule in the city. It is a platform for co-existence of three distinct worlds namely royal, religious and social. A famous architect of modern time Le Corbusier called the Sarkhej Roza mosque as Ahmadabad’s Acropolis comparing it with Acropolis of Athens. The Sarkhej Roza was actually built on a sprawling area of seventy two acres and most of the construction activities took place in the mid fifteenth century from 1451 to 1458 under the control of Sultan Qutubuddin Ahmed Shah II. Later on the finishing touches and minor changes took place when next Sultan Mehmud Begada came into power. He enhanced the beauty of the place by adding pleasure spaces by extending surroundings, created his own tomb across the Saint’s tomb, beautified the tank and did other finishing touches to give the place a charming appearance. Initially there were beautiful gardens on all sides but during the course of time the area shrunk due to human settlements and gardens almost vanished into developments. 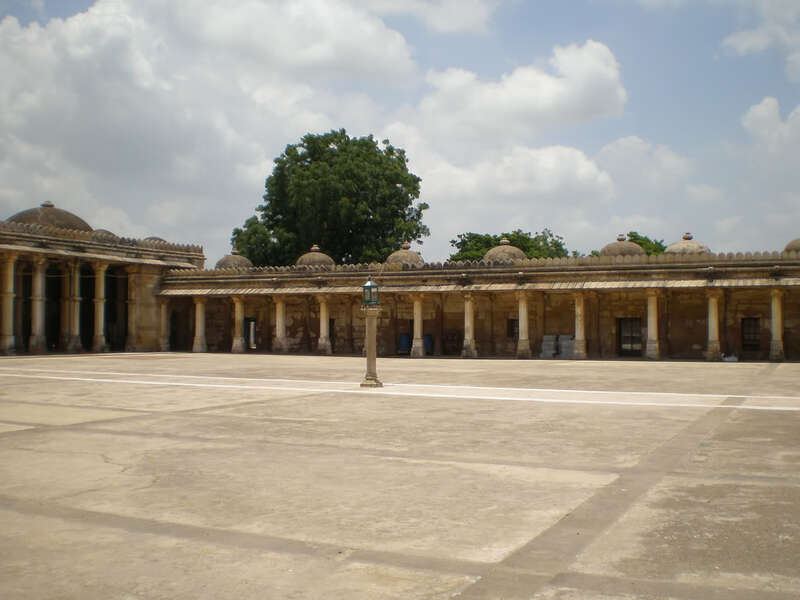 Currently only thirty four acres are left with Sarkhej Roza instead of 72 acres. But that’s not what makes it special, the architecture just makes it interesting, the thing that is so special about this place is the divine effect it has, if you visit the place you have to agree that body and soul both are present in the monuments and creator has made timeless masterpieces. The peace you will feel when you just sit there, it’s something that cannot be expressed, it can only be felt. When you visit this place, you feel happy to be in a place where you are a complete stranger, yet no one looks at you as an outsider & that makes it even more incredible.